This jump is on top of the small building opposite the Film Studio. 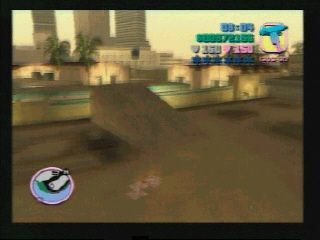 Use the little jumps to get to the roof where the main jump is. the jump takes you into the studio, and is best done with a bike.